I've been to France, once. It was ages ago, but nevertheless, it was magical. 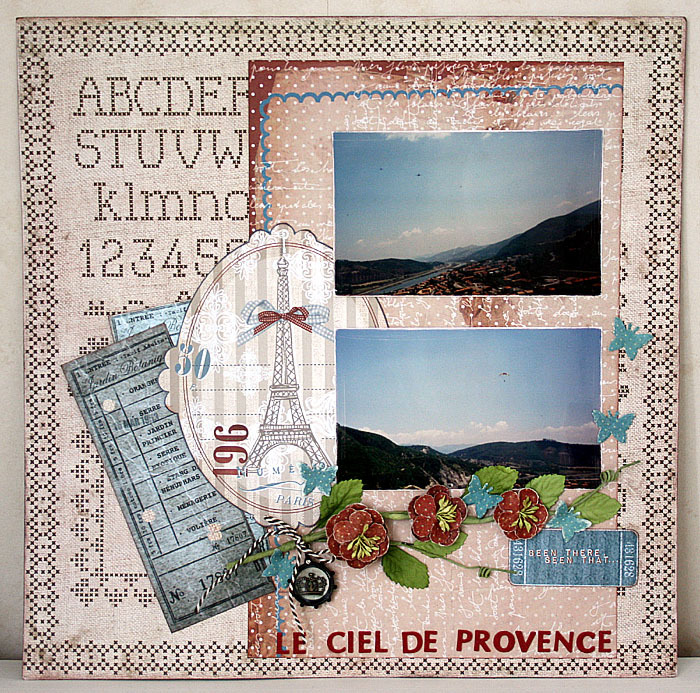 I was in Paris, and I spent a wonderful week in Provence. 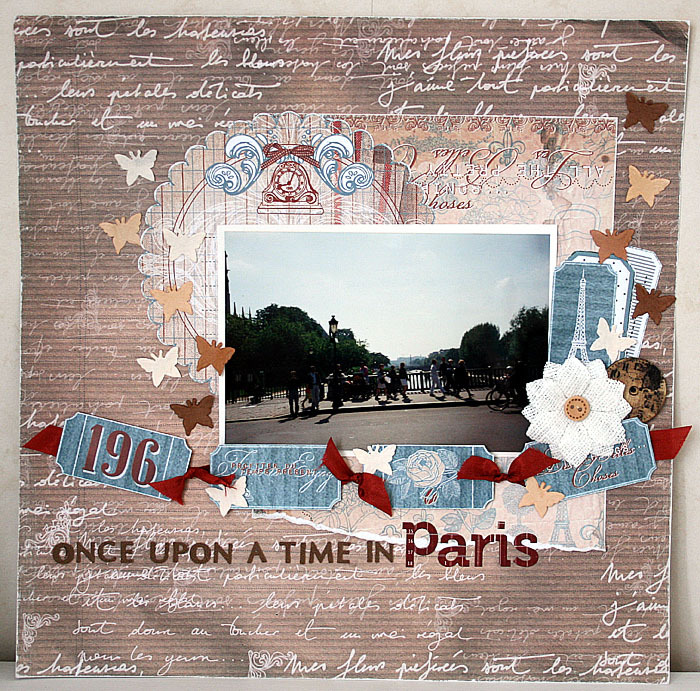 When I got some papers and embellishments from Prima's En Francais line, I started looking through the photos from that journey, and I started longing to go back there. 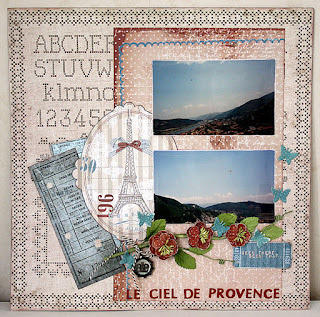 I might, pretty soon, because the beauty of Provence in May really took my breath away back then, and looking at the photos, it all came back to me. 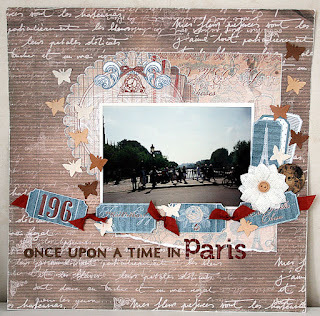 All the supplies for these layouts are from Scraplagret, and guess what? They are have cyber crop coming up in a couple of weeks! Read all about it here.